At House of Prayer, “welcoming” is a core value. We extend our hospitality to all aspects of our ministry including major life moments and faith milestones like baptisms, weddings, and funerals. You are not required to be a member of the congregation to participate but we do encourage people to connect consistently with a church home. If you are interested in hosting any of these events at House of Prayer, please contact our church office. 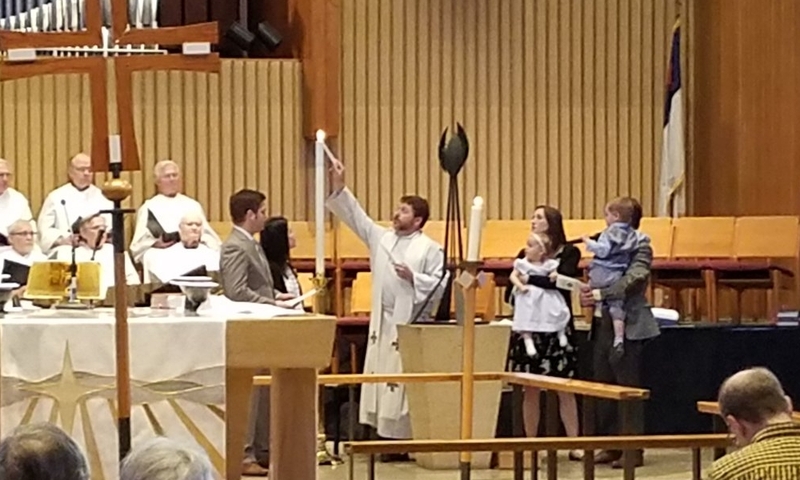 As a sacrament of the church, we take Baptism very seriously! Through Baptism we are named and claimed as children of God and receive God’s amazing grace! We are happy to work with parents for a baptism of their child or adults who have not been baptized. The pastor will meet with the family prior to the baptism for a time of preparation and instruction. Baptisms are available during both Sunday worship times and should be arranged about a month in advance. We have a detailed wedding packet available by request from the church office. Weddings should be scheduled well in advance due to a very busy building schedule. Off-site weddings can also be arranged with a pastor. Pre-marriage counseling is done with the pastor and typically consists of 5-6 sessions. We are happy to work families who are grieving the loss of a loved one. Our narthex offers a peaceful setting for family gatherings and we work with a local caterer who offers a variety of affordable lunch selections. Our music staff is available to ensure the funeral service is done with excellence.